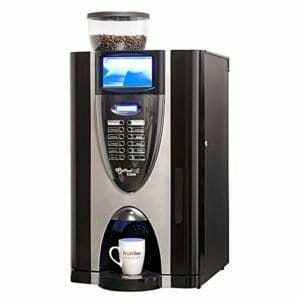 When you are looking for coffee machines for sale or rent, we can help you find the right one! 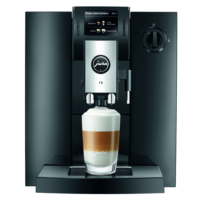 We offer a wide variety of automatic coffee machines including the Jura and Dr Coffee ranges. These are compact yet full of features that range from ceramic grinders, touch screens through to pre-wetting of ground coffee to allow more extraction of desirable flavours. Using fresh milk, they have a one-touch cappuccino capability (with a double boiler to ensure you have enough steam to froth your milk) to make quality drinks in your home or office. Simple and very cost effective. Choose from espresso, americano, flat white, cappuccino, latte and even hot milk for making hot chocolate drinks. In October 2019 we will introduce a model that also has a hot chocolate canister to give you a range of hot chocolate beverages. All of these are delivered fresh and hot to you at the push of a button. Simple to use and to clean, these are perfect for home or office use and backed by our legendary service and maintenance plans. Coffee vending machines allow all the ingredients like instant and/or bean coffee, milk powder, sugar, hot chocolate and other latte powders, to be locked away inside the machine. No mess on the counters and no loss of money due to misuse of ingredients. A major advantage is that you get portion control so you will be able to manage costs while offering quality hot beverages. You can select any hot beverage from espresso, black or white, cappuccino, cafe latte, or hot chocolate at the push of a button, and add sugar if you wish. Offering both fresh milk and powdered milk models, each has its advantages – contact us for a your free assessment of what might suit your office best. Fast, hygienic and always available, you will also see cost savings from portion control and removing ingredients from sight! With an all inclusive service package option, buy once and never have to pay another cent on maintenance. Filter coffee, unlike espresso coffee, uses gravity to extract the desirable flavours from ground beans. This is why filter and espresso tastes so different. We supply 80 g filter sachets and filter papers to give you 10 cups of delicious fresh filter coffee in around 10 minutes. This is perfect for busy offices where “on-demand” beverages are important for minimising staff downtime. Choose between the glass bowl, the stainless steel vacuum or pump-pot models so you can enjoy freshly brewed and flavour rich drinks either immediately or up to a few hours after brewing. To top it all, enjoy the most cost effective way of bringing hot beverages to your office as we supply a free machine when you order just two boxes of 50 x 80 g sachets per month. Enjoy our Platinum and VIP blends that have been blended for “easy, everyday” drinking. They will appeal to a wide variety of different staff tastes.